Solid color dress shirts can match easily with most neckties. 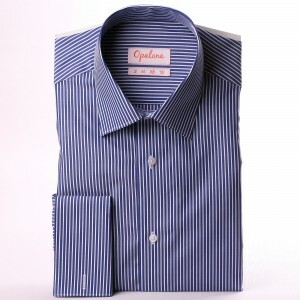 On the contrary, patterned shirts, such as plaid, striped and checkered, can be difficult to match with your neckties. For a classic look, prefer a solid white or a pale blue dress shirt. 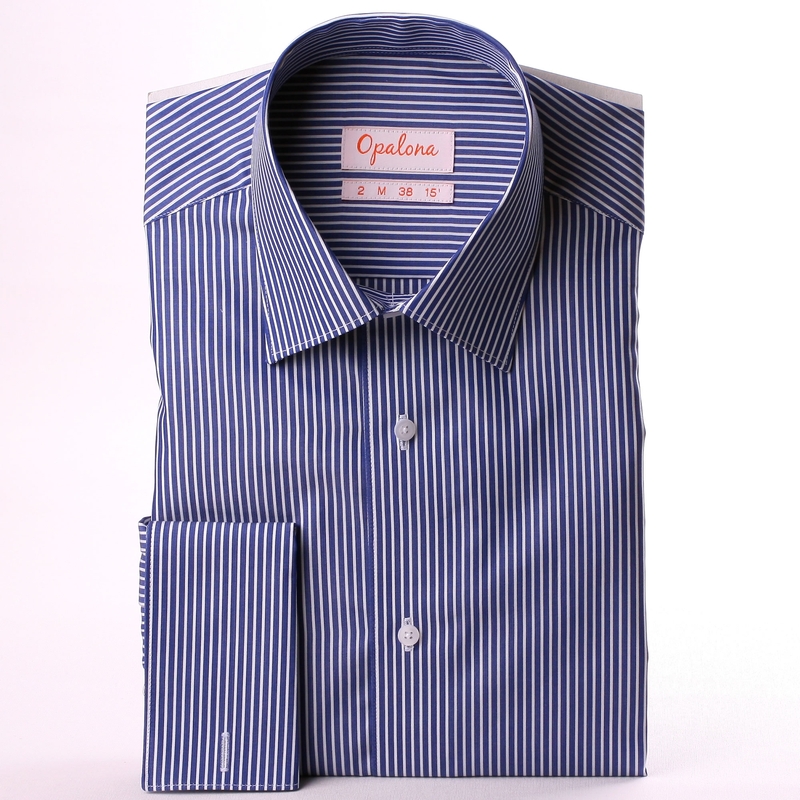 – you can wear a striped shirt with a striped tie as long as the stripes aren’t identical in size. You can have a pattern on pattern when one pattern is much bolder than the other. – Make sure at least one color in your tie matches either your suit, shirt, or your belt and shoes. – Avoid wearing a striped shirt with a striped tie and a pinstriped suit. Matching three similar patterns together is rarely a winning combination. in general, avoid pairing three similar patterns. How to wear dress shirt ? A shirt must be ironed free of wrinkles. 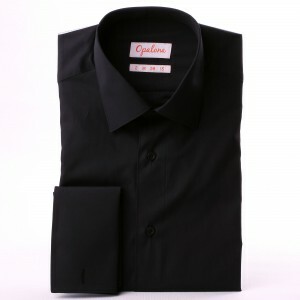 For more smoothness and stiffness you can treat you shirt with starch. For formal occasion, tuck the hem inside the waistband of your trousers. If you wear a necktie, you must button the dress shirt to the top. While the shirt is buttoned, you should be able to slide two fingers between your neck and collar. For informal usage, you can leave the top button unfastened. When you bend your arm, sleeves should be long enough so that cuffs do not ride up your wrist when you move your arm. Don’t be afraid to roll your sleeves up when necessary. In general, a shirt will last two years. Chili parties, leaky pens, sip-tops, the world is full of ways to ruin good fabrics! How to iron a dress shirt ? You want to iron your dress shirt painless! 1- Start ironing the back of the collar, then the front. Start at the points and move inward. 2- Lay one shoulder over the narrow edge of the board and iron it, shifted your shirt as needed. Iron the second shoulder at the same. 2- Open cuffs fully and iron inside first and then outside. 3- Lay flat one sleeve and iron it. Start with the back side, front side second and take extra care on armhole seams. 4- Hang shirt over board so that one front panel of the shirt can be extended flat. Iron from shoulder to shirttail. 5- Rotate shirt over board so that you iron the back next, and the other front panel last. 6- Hang your shirt immediately on a hanger to avoid wrinkles. If your shirt is exceptionally wrinkled, you can spray some water onto the part of the shirt that is about to be ironed. How to take care of your dress shirts ? 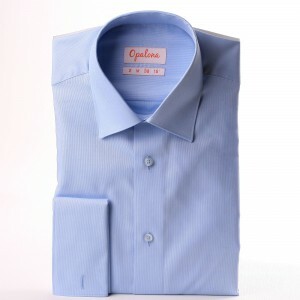 – machine wash your dress shirts using a gentle cycle with like-warm water in order to preserve the fabric. – Never dry-clean your shirts because the chemicals can destroy the fabric. – To avoid antiperspirant stains, spray your deodorant on your body and wait for it to dry before wearing the dress shirt. – To avoid lifting the color of your shirts, separate them before laundering into three categories: whites, colors and darks. You can use an appropriate bleach to fix colors. – Check if there is any stain before pressing because the heat from an iron can fix permanently the stain into the fabric. 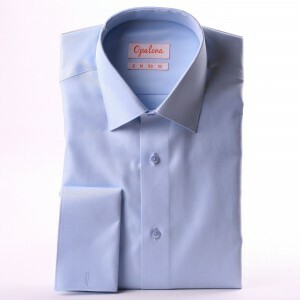 – It’s easier and better for the fabric, to iron a dress shirt when it is damp. It will also make it easier to get out all the wrinkles. – Hang your shirt after you iron it on hangers with firm shoulders (avoid wire hangers which can destroy the shape of your dress shirt). Stains on my shirt ! what should I do ? When you make stains on your dress shirts, it is important to act immediately before the substance has time to penetrate into the fibres, and become fixed. Always use hot water on fatty stains to dissolve the fat. Red wine: Eliminate the excess and rinse well with cold water. Sauces: Rinse with hot water and scrub with hard soap. If stains remain, soak the dress shirt in warm water with a small amount of vinegar. Mud: Let the mud dry and then brush it off. Rinse with cold water and rubb a little to remove the dirt. Blood: Rinse with cold salty water and then apply cold soapy water. Ink: Ink stains need a chemical treatment so bring your shirt to a dry cleaner. A French cuff shirt is a dress shirt with French cuffs also called double cuffs. 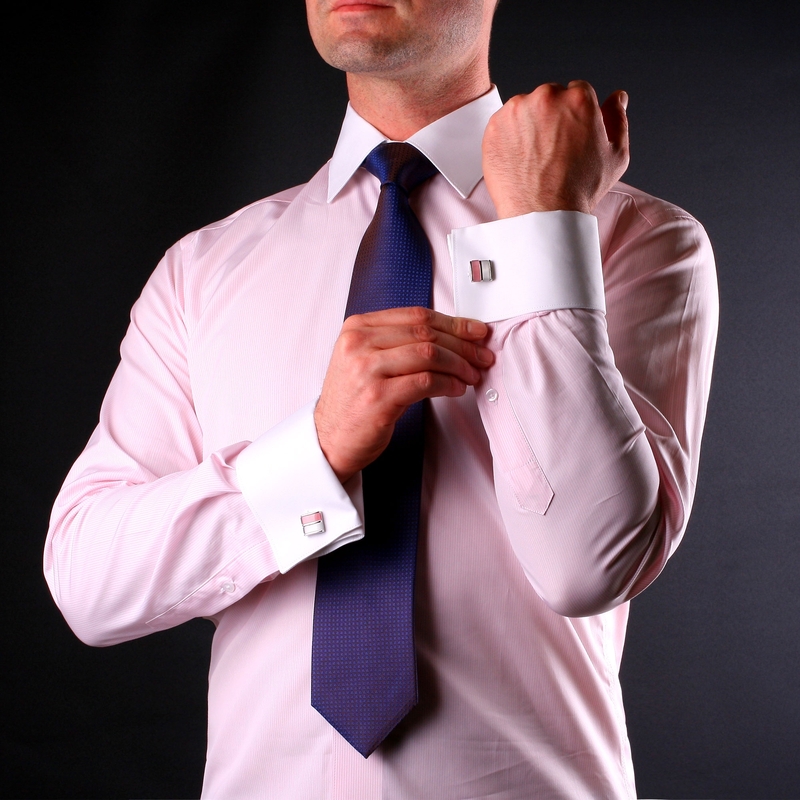 French cuffs are folded back and are fastened with cufflinks or silk knots. 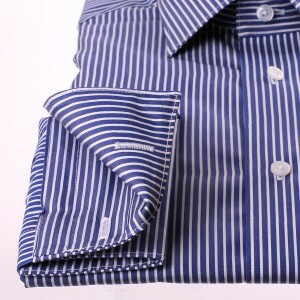 In the past most dress shirts were with French cuffs. Today, French cuff shirts are considered as fashion shirts, and are often worn with eveningwear. 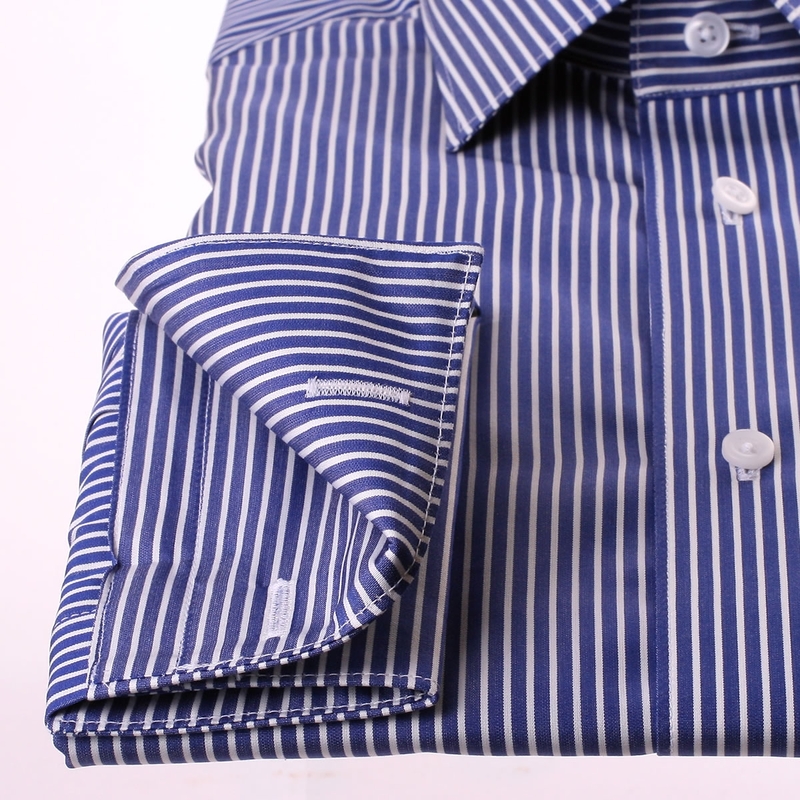 French cuff shirts are considered to be more formal than button cuffs. 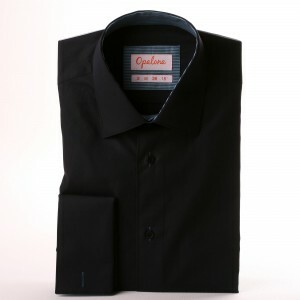 Nevertheless, French cuff shirts are not really suitable for some professionnal events as job interview. A button cuff shirt is better, more unobtrusive, for these kind of events.